What Could Smoking Tobacco Do To Your Body? There is a clear consensus among the scientific community that tobacco consumption can bring several negative effects on the human body. Tobacco smoking can expose humans to several toxic compounds that cause harm to most organs in the body. Let’s look at the major health effects or tobacco. In fact, a prolonged habitual cigarette smoker’s lungs can even be among the most radioactive places in the environment. A smoker is at least 3 times likely to get cancer, compared to a non-smoker. Smokers are highly vulnerable to several pulmonary diseases, including severe problems like asthma and Chronic Obstructive Pulmonary Disease (COPD). Several conditions related to lung problems like persistent coughing and shortness of breath can be commonly observed within tobacco smokers, including irregular or light smokers. Heavy smoking for several years can even cause irreversible and permanent damage to the lungs. The risk of pulmonary disease among people exposed to secondhand smoke is also very high, which is attributed to be the primary reason behind the ban of smoking in public places in many countries around the world. Smoking can cause severe or even permanent damage to the heart and arteries. Tobacco smoking increases the chance of conditions like stroke, atherosclerosis, and peripheral vascular disease. Several ingredients in tobacco can lead to the narrowing of blood vessels, increasing the likelihood of a blockage, and thus a heart attack or stroke. It’s estimated that smokers are 5 times more likely to have a heart attack, compared to non-smokers. Tobacco smoking can cause fertility problems to both men and women. Reliable studies done among heavy smoking men have concluded that the overall sperm count is generally low, compared to healthy men. Studies have also shown that heavy smoking women had more chances of irregular menstruation, failed pregnancy and miscarriage. Tobacco smoking has also been associated with the overall decline of the immune system. It has been commonly observed that smokers are more likely to be severely affected by seasonal diseases like influenza. Tobacco smokers who commonly share cigarettes or cigars are also at a bigger risk of bacterial and viral contamination, compared to non-smokers. A glance at the above effects should be convincing enough for one to stop smoking tobacco. There are plenty of organization that can help you get rid of your smoking habits and live a healthy life. 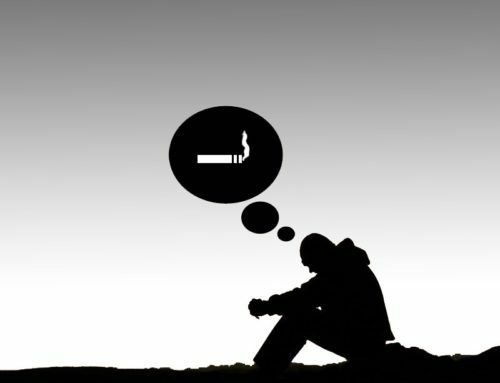 In particular, short-term rehabilitation sessions or hypnotherapy to quit smoking can prove to be very effective in combating the deadly habit. Thus, if you want help, start now.